Americans love making New Year’s resolutions at the beginning of the calendar year. Generally, these self-improvement goals concern health and wellness, weight loss or improving relationships. If you are a retirement plan sponsor responsible for a 401(k) or 403(b), there are some New Year’s resolutions you should consider to improve the health of your plan and meet your responsibility as a fiduciary to your plan participants. Fiduciaries understand they must comply with the Employee Retirement Income Security Act of 1974, better known by its acronym ERISA. That’s the federal law that sets minimum standards for most voluntarily established retirement and health plans in private industry to protect individuals in these plans. As a retirement plan sponsor under ERISA, you have an obligation to make sure fees are reasonable. In the world of qualified retirement plans such as 401(k)s, it is not just a best practice to make sure that your fees are reasonable as it might be in other business situations. In these plans, the law compels you to make sure such fees are reasonable. Government regulators are particularly concerned about those fees that are passed on to participants because they impact investment performance and ultimately, the amount of money available to support the participant during their retirement. Consequently, having a process in place to monitor retirement plan fees is critical. Documenting a prudent process to monitor retirement plan fees is equally important. At some point, a plan participant may challenge your plan’s fees for various services, so producing documentation that you were diligent in checking that those fees were reasonable is extremely important. One best practice for determining whether your fees are reasonable is to prepare a benchmarking study that compares your retirement plan fees for various services such as record-keeping, retirement plan administration, investment advice and mutual fund fees to other plans of a similar size. By comparing your retirement plan fees to other similar retirement plans based on either total plan assets or number of participants, you will have a baseline for identifying areas where your plan’s fees might not be in line with what’s available in the marketplace. A formal benchmarking study is a good starting point to make a judgment call about whether your plan’s fees are reasonable. Retirement plan sponsors must also have a process in place for reviewing the investment options in their retirement plan. These investment options are often referred to as designated investment alternatives. Retirement plan sponsors are obligated to demonstrate procedural prudence in selecting and monitoring these investment options. Consider working with your investment advisor to create an investment policy statement for your retirement plan. Your investment policy statement should define the prudent process that you will follow to monitor your designated investment alternatives. It might reference various benchmarks that you’re going to track for each investment alternative, such as performance relative to peer group, performance relative to an appropriate benchmark, mutual fund expense ratios or money manager tenure. As time goes by, it’s a good idea to work with your investment advisor to monitor your retirement plan’s investment options based on these defined benchmarks. At a minimum, we recommend producing a quarterly report analyzing each respective investment option relative to these benchmarks and, where appropriate, taking action to remove a fund not consistently meeting these defined requirements. Retirement plan sponsors of defined contribution plans such as 401(k)s or 403(b)s are under the gun to deposit employee salary deferrals into the 401(k) trust as soon administratively possible. There is a misconception, based on a previous Department of Labor safe harbor rule, that retirement plan sponsors have 15 days to make their 401(k) deposits. 404a-5 notices – In order to meet fee-disclosure regulations, retirement plan sponsors must provide an annual notice to their participants generally summarizing the fees associated with participating in the plan. These include mutual-fund fees and other fees passed on to participants such as record-keeping or administration. One more New Year’s resolution: We strongly suggest that retirement plan sponsors request various service providers acknowledge their fiduciary responsibility to the plan and define that fiduciary responsibility very specifically in writing. For example, your investment advisor may be willing to act as a nondiscretionary, co-fiduciary to the plan under ERISA section 3(21) or may even be willing to act as a discretionary investment manager under ERISA section 3(38). By working with an investment consultant willing to assume fiduciary responsibility for selecting and monitoring investment options, you have taken a significant step toward meeting your responsibility in this area. 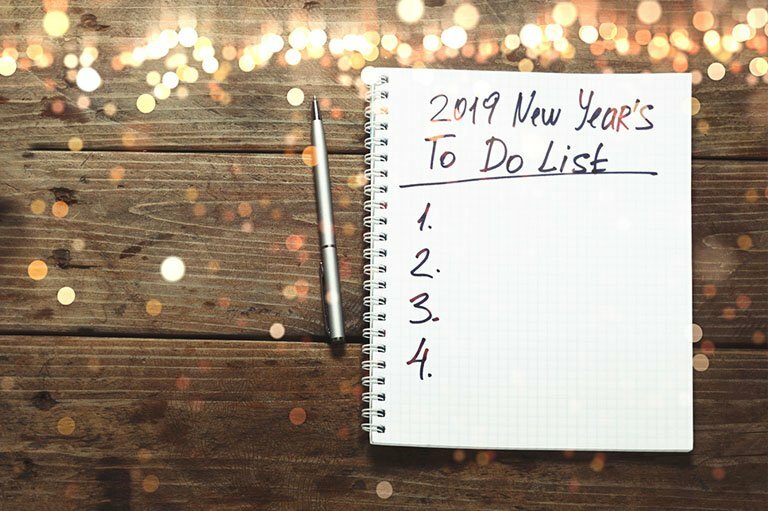 As with many aspects of our lives, the first of the year is a good time to develop some New Year’s resolutions in your capacity as a retirement plan sponsor. A qualified retirement plan is often an employee’s way to build their nest egg. But when employers become retirement plan sponsors and offer this benefit to their participants, they also assume significant responsibility and liability. In order to meet these various responsibilities, it’s critical to have a plan in place to do so, document a prudent process and hire consultants willing to shoulder this responsibility and liability. Dean Piccirillo is a Principal and Senior Financial Advisor at HBKS Wealth Advisors. Dean is responsible for the firm’s Retirement Plan Services Unit on a national basis. The Retirement Plan Unit helps plan sponsors establish or enhance a qualified retirement plan such as 401(k)s. Dean writes online about retirment and financial planning matters at www.deanpiccirillo.com. The information included in this document is for general, informational and educational purposes only. It does not contain any investment advice and does not address any individual facts and circumstances. As such, it cannot be relied on as providing any investment advice. If you would like investment advice regarding your specific facts and circumstances, please contact a qualified financial advisor. HBKS® Wealth Advisors is not an accounting or law firm, and does not provide accounting, tax or legal advice. This document does not contain any accounting or legal advice. If you would like accounting, tax or legal advice, please contact a qualified accountant or attorney.